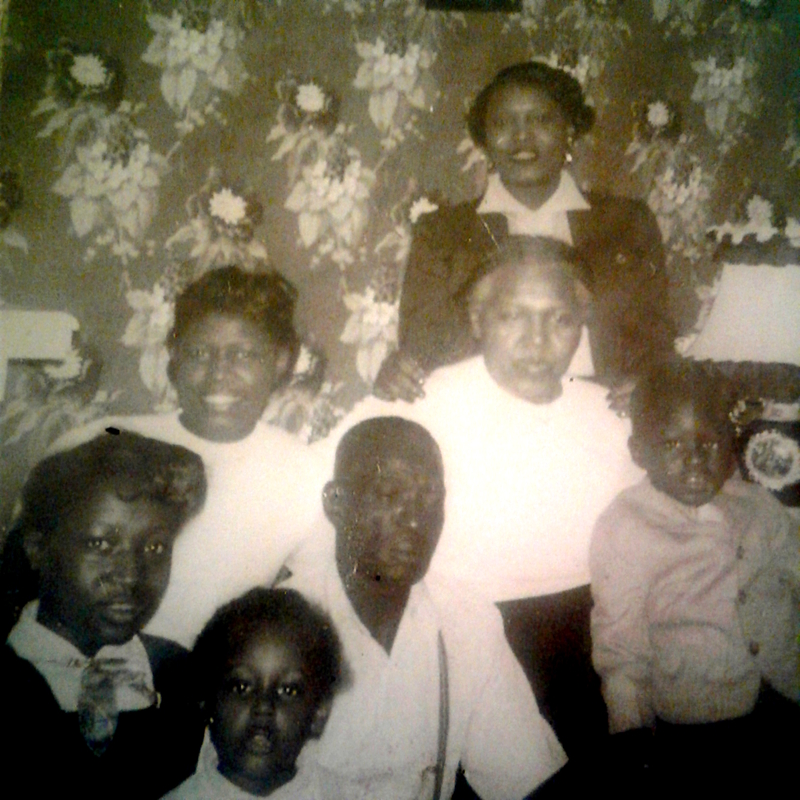 Wesley Brooks, Wife Liler Smith, Daughter Gloria Brooks and Grand Children, Philadelphia, PA, ca. 1952, Contributed by Great Grandson Quincy A Guest Jr.
Names of Others in Photo : Wife Liler Smith and Daughter Gloria Brooks and Grand Children. If you would like to share a story about this ancestor, please type as little or as much as you like in this box. : Wesley was born in 1898 in Jacksonboro to Middleton Brooks and Margaret Manigault. The family lived on Preston Brooks Ackerman’s Preston Plantation in Walterboro. Wesley was a Geechee he and his sisters spoke there own Language. When he left South Carolina during the great migration he would not share where his family was located for fear of outsiders finding his families land. We do know that he was closely related to the Smalls, Manigo, Murray and Rivers Families. We are still trying to reconnect with family in South Carolina. Hi, I am Candy Brockett. I am a Descendant of Morris and Delia Brooks of Sumter, SC, they were my 4x great grandparents. Their daughter Arenza (Rentha) Brooks, married William Cabbagestalk. Morris and Delia had a son named Wesley Brooks (b. about 1846) he married a Peggy. I am also a descendant of James and Grace (Allen) Manigo of Sumter. My email is candybrockett@gmail.com. By any chance have you taken the Ancestry DNA? What is your username on Ancestry? I’ll look you up.